Israeli soldiers seriously injured, on Thursday at dawn, two young Palestinian men near the “Return Camp,” east of Rafah, in the southern part of the Gaza Strip. 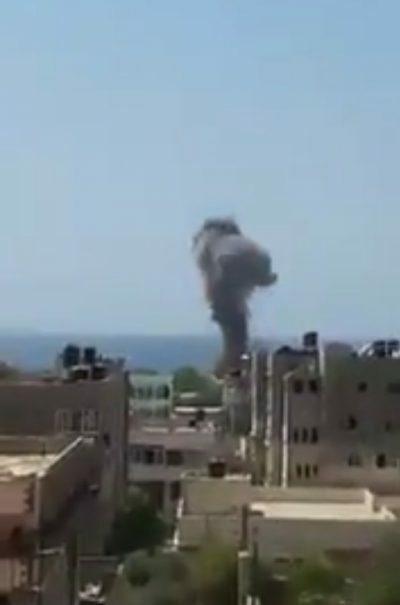 Media sources said the army fired an artillery shell at a group of Palestinians, seriously wounding two, before they were rushed to the European Hospital. On Wednesday evening, the soldiers shot four Palestinians, one seriously, and abducted one child, east of Rafah, after the army claimed they attempted to breech the border fence.